All my children were resolutely bald for the first two years of their life. I didn’t mind, but the concern of a woman at playgroup made up for my lack of it. Convinced that baldness signified a “bodily imbalance”, she exhorted me to seek homeopathic treatment. I was recommended a practitioner who had successfully treated the woman’s own children for asthma, colic and school-related stress. All her treatments were natural, safe, guaranteed to work, and relatively cheap at $40 apiece. My poor daughter, routinely mistaken for a boy, would soon flaunt Rapunzel-like hair. And what more, my private health insurance would cover her transformation. 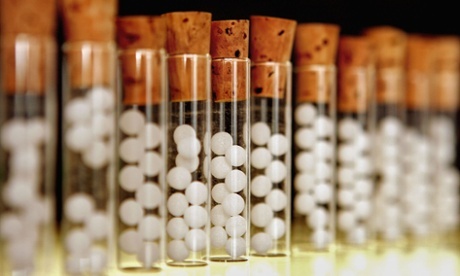 Comprehensive research by the well-regarded Australian NHMRC concluded this week that homeopathy is ineffective. Prominent doctors declared it unethical to prescribe, and health funds told to stop subsidising it. To the medical community fed up with quackery, the results simply confirm an established fact. But as the ensuing furious exchange shows, to those who would cure an infant’s baldness with homeopathy, the conclusion is just another example of the bias of conventional doctors against something they don’t want to learn about. The establishment dismisses homeopathy, but a million Australians are willing to embrace it, defend it, and ridicule the evidence against it. As an oncologist, I am no stranger to patients who would happily spend the consultation trying to convince me of the salutary benefits of apricot kernel or lavender extract. Discussions of homeopathy as a viable alternative to chemotherapy cause their own share of disagreement. But how does one handle these testy conversations? Time-honoured tools include rolling one’s eyes, declaring that a patient is mistaken, and gradually disengaging, all practiced with varying degrees of subtlety. They only serve to alienate patients who still need our help and partnership. Users of alternative health take any number of unknowable and even dangerous products, but they all tend to describe one common element – they feel heard. They sense sympathy for their condition, they feel respected, and they are drawn to the appeal of a simple explanation even if it’s wrong. “I don’t care if homeopathy is crap, but it’s the only place someone really listens to me”, said a patient. In other words, what people hanker for is human communion, a rare commodity in modern medicine whose absence is noted by opportunists. The research findings make me reflect that doctors can either spend their time wondering why people can’t see what’s good for them, or we can seek to improve our communication with patients to at least partly address the reasons people turn to alternative health practitioners. And here, medical training is widely thought to do an inadequate job. The more medicine advances, the more nuanced it becomes. On a ward round, absolute answers to thorny issue are missing. Should a deeply unconscious stroke patient be artificially fed and for how long? Should a competent woman be allowed to return to a dozen cats, rancid food and an unsafe home? How does one broach a not for resuscitation directive with somebody who doesn’t realise the gravity of his disease? Is the patient refusing treatment in denial or is she reasonably declining the poor offerings? The answers have less to do with following a strict medical protocol than with skilfully navigating difficult and deeply sensitive conversations with vulnerable patients and anxious relatives. These conversations require a range of skills including medical expertise, but also a greater measure of compassion, empathy and patience. Time and again it is not the smartest doctor who helps the patient, but the one who takes the time to listen, who is at ease with uncertainty and who can articulate a viewpoint without seeming arrogant or defensive. Patients say that even when the news is bad, the way it is delivered can sustain hope or shatter it. As a trainee oncologist, I participated in a memorable workshop with a simulated patient who tactfully told me that I needed to lift my act. I found the experience transformative, more so than memorising all the chemotherapy protocols. Anyone who has encountered a doctor appreciates that there is an art to medicine. But by and large, we allow doctors to practice medicine with minimal training in how to hone this art and how to communicate effectively with patients. There is an entrenched belief that either the skill is inherent, or that one will eventually master it. On the contrary, it requires regular practice, good role models and robust mentoring. With or without research to expose homeopathy as bogus, the believers will prevail in their view. Dismissing them outright doesn’t really advance the issue, but we could use the opportunity to examine the role of doctor-patient communication in driving people to seek the false reassurance of alternative remedies. Posted on January 5, 2015, in Uncategorized. Bookmark the permalink. Leave a comment.